My misgivings were unfounded: Open Access and the Humanities is not a work of edumarketing but a fair-minded and intellectually honest exploration of open access — roughly, the cost-free availability and reusability of scholarly literature — as it works, does not work, and could work in the humanities. In fact, Eve mentions OLH only three times, and only in passing. (To learn about OLH, read “All That Glisters: Investigating Collective Funding Mechanisms for Gold Open Access in Humanities Disciplines” and the OLH website itself.) Appropriately, given its topic, the book is available both for sale and open access, distributed under a Creative Commons Attribution-ShareAlike license. The book begins with a preface by Peter Suber, leader of the Open Access movement and author of Open Access, a 2012 book (also available both for sale and open access) that offers a roundup of the most essential information and arguments about open access. Suber’s endorsement signals that Open Access and the Humanities is something new, not just a humanities-tinged recapitulation of Open Access or other writings. Eve’s book is a real addition to the conversation about open access — a conversation that, for a variety of economic, political, and disciplinary reasons, has historically focused on the sciences, or at least the scholarly communication practices most common in the sciences. Eve divides his book into five chapters. The first chapter covers a lot of ground, starting with an introduction to open access and the reasons for it, moving on to an examination of the necessity of open access in the humanities and the fundamental elements of research irrespective of discipline, and ending with a rundown of arguments against open access. For the uninitiated, this chapter provides an excellent introduction to the key concepts and theoretical underpinnings of open access (though it may be easier to absorb the need-to-know practicalities from a shorter, simpler presentation, of which there are many online). For the well versed, much will be familiar, but even experts will find insights to enjoy in the “Two Cultures” section (pp. 22-30). In the second chapter, Eve discusses the economics of scholarly communication, including the economics of prestige, which drives most researchers more than financial considerations. In “Cultural and Symbolic Capital in Academic Publishing” (pp. 44-55), a superb section I plan to re-read, internalize, and incorporate into my conversations with researchers, Eve examines, in great and illuminating detail, the imperfect correlation between quality and prestige, a “proxy measure” for quality that “tends towards re-enforcement of existing systems” and therefore hinders innovation in publishing models and methods (p. 55). Also valuable are his Marxism-informed considerations of the relationship between the “exchange-value” and “use-value” of humanities research, his discussion of the unpopularity of article and book processing charges (generally paid by author, host institution, or grant funder, and common in the sciences) among humanists, and his description of some models for making humanities research open access without such charges. The third chapter is a clear and thorough introduction to open licenses, namely Creative Commons (CC) licenses, confusion about which has impeded open access in the humanities. Eve describes several ways in which humanities researchers are shackled by traditionally copyrighted works and stand to benefit from CC-licensed materials. He then dispels myths about the risks of applying CC licenses to one’s own works, argues against using the more restrictive CC licenses with NonCommercial (NC) and NoDerivatives (ND) clauses, and warns against creating new licenses. He acknowledges that some researchers have lingering misgivings about the CC BY (Attribution) license, which is used by many open-access publishers and allows unrestricted use and reuse provided the creator is attributed. He urges these researchers to consider the CC BY-SA (Attribution ShareAlike) license, which gives others full rights to excerpt, translate, mine, and otherwise freely use the work provided they license any derivative works in the same way. I do not necessarily disagree, but I wish he had been explicit that his advice runs counter to the Open Access Scholarly Publishers Association’s (OASPA’s) prohibition against ShareAlike licenses, which it deems overly restrictive, and probed the implications for publishers of disqualifying themselves from OASPA membership by using CC BY-SA. The fourth and fifth chapters explore, respectively, the feasibility of open access monographs and the publishing reforms made possible by open access. These chapters are short, straightforward, and somewhat less penetrating than the others. Chapter 5 in particular is underdeveloped, listing only a few possible innovations (non-blind peer review, overlay journals, etc. ), all of which have been batted around for quite some time and none of which challenge traditional journal articles and monographs as the standard units of scholarly contribution. For many scholars, articles and monographs are and will continue to be the outputs appropriate for their research, but an increasing number produce nonlinear, multimodal scholarship, and require venues capable of evaluating, presenting, preserving — and, of course, conferring prestige upon — those works. I wish Eve had looked beyond the digital dissemination of traditional humanities scholarship and considered the unique problems and opportunities of the digital humanities. Still, Open Access and the Humanities is a significant and long-needed contribution to the scholarship of scholarly communication — indeed, I consider it a new core title. Although I would have liked Eve to imagine more, and more wild, innovations, he gives expert, artful treatments of some topics (notably, the beautiful section on prestige and quality). Less dazzling but equally useful are his abundant endnotes and references, which serve as a Baedeker to the sprawling body of literature on open access. The above sentence, with its apparent internal inconsistency, is a good lead-in to a comment about capitalization: There is widespread inconsistency in the capitalization of the term “open access,” so I appreciate Eve’s practice, explained in an endnote, of using the lowercase “open access” to denote the removal of “price and permission barriers” and the title-case “Open Access” when referring to the collective effort to effectuate open access, as in “Open Access movement” (p. 152). This distinction, which I have not seen articulated elsewhere, makes good sense and can disambiguate writing, and I plan to use it myself, starting with this review. Jill Cirasella is Associate Librarian for Public Services and Scholarly Communication at the Graduate Center of the City University of New York, where she oversees numerous scholarly communications initiatives, including the Graduate Center component of the CUNY Academic Works repository. 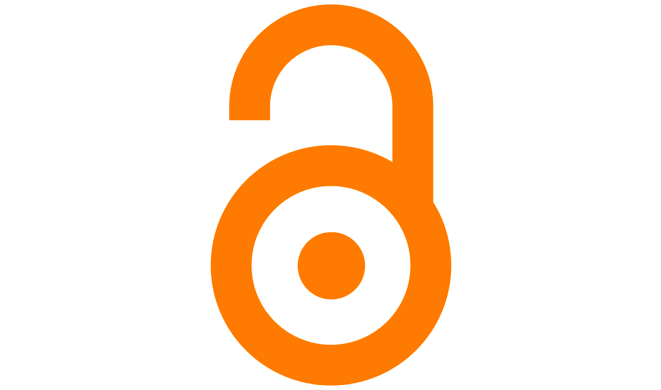 October 24, 2016 @ 1:26 pm At the GC, Every Week is Open Access Week!